The governor returns to form as election day nears, caught poking a finger at a teacher and shouting vitriol—but this time the teacher is pushing back. New Jersey Governor Chris Christie is running hard for a second term, and for a place in the 2016 Republican presidential race. He’s still the front-runner in his re-election run, thanks to a huge bankroll, celebrity-worship media coverage and the advantages of incumbency. But his once overwhelming poll lead has shrunk a bit as the campaign has come to a close. Where a mid-October Quinnipiac survey gave the governor a thirty-three-point lead over Democrat Barbara Buono, and a Richard Stockton College survey from last week had him up twenty-four points, the latest poll from Fairleigh Dickinson University had him up just nineteen points. That’s a wide margin. But it is striking that, as the election comes closer, and as Christie dramatically increases his spending and campaigning, his numbers are declining. Maybe it has something to do with treatment of teachers. 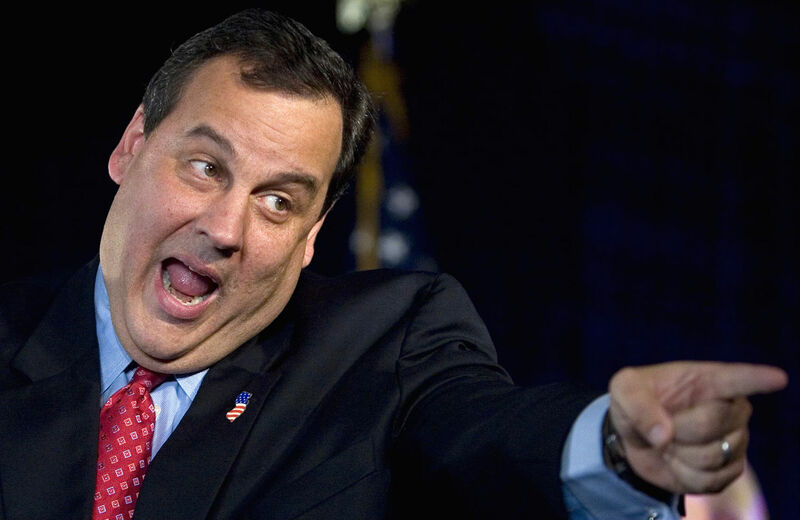 Since becoming governor in 2010, Christie done a lot of yelling at teachers. When teachers have questioned Christie, he has not responded well. That’s not the sort of review any governor should want—especially one who is positioning himself for re-election and then a presidential run. But Christie can’t control his urge to bash teachers. As his supported taunted the teacher, Christie told the teacher to just do her job. In her letter, she detailed the challenges caused by Christie’s cuts to public education. She also reflected on the folly of focusing so much school time on preparing for and administering standardized tests and on privatization schemes. And she asked the tough questions about the governor’s constant political positioning. John Nichols dispels the notion that Chris Christie is a moderate.